Since wetlands lie at the interface of terrestrial and aquatic habitats, they possess a unique mixture of species, conditions, and interactions. 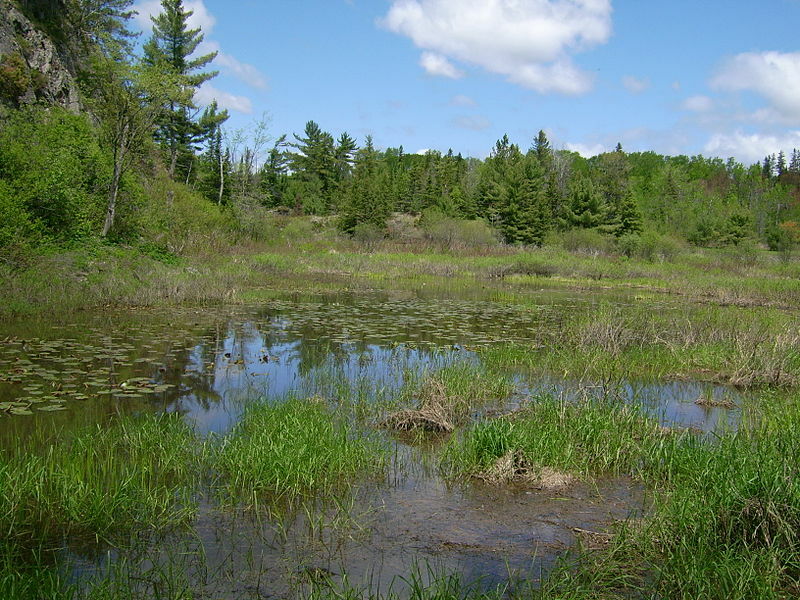 As a result, wetlands are among our planet’s most diverse and varied habitats. Wetlands are habitat for thousands of migrating ducks and geese as well as other fish, mammals, birds, reptiles and amphibians. Wetlands also filter water by slowing down water and removing many of the pollutants before they get to our larger streams and rivers. Since 1980 more than half of the 221 million acres of pre-settlement wetlands have been destroyed.